It was a chilly start to the weekend at Horseheath Horse Trials when an Arctic wind brought temperatures plummeting to just 2 degrees. It didn’t deter any of the 500 competitors who travelled from all over the country to compete over the 27/28 October weekend, which had been postponed from August following the heatwave. The ground preparations began weeks ago: aerovating, watering and mowing. Over the past two years the groundwork team has also developed a new glade, Wren’s Wood, to the top right of the course which was unveiled for the first time. 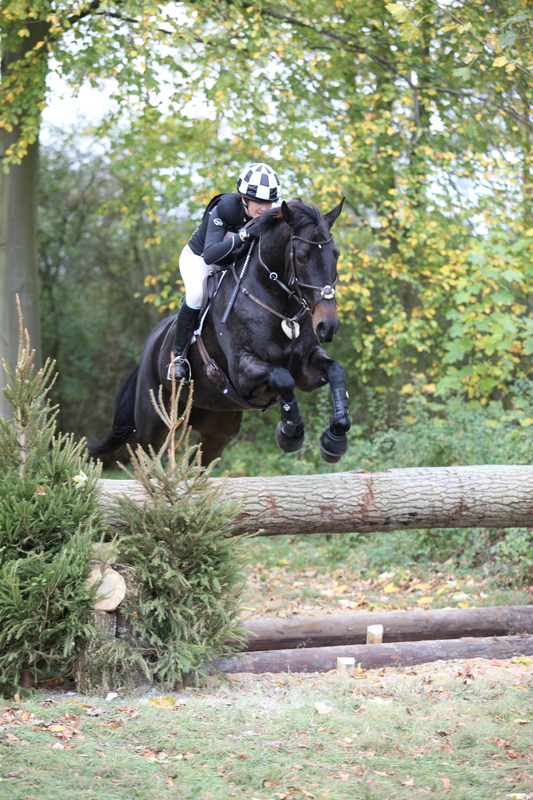 Winners from each BE100, BE105 and BE90 sections took home Tredstep numnahs, TopSpec Electrolytes and prize money. Prizes for the BE80 were kindly sponsored by Devoucoux who generously donated £100 vouchers, tack cleaning products, caps and keyring for those placed 1st – 3rd. 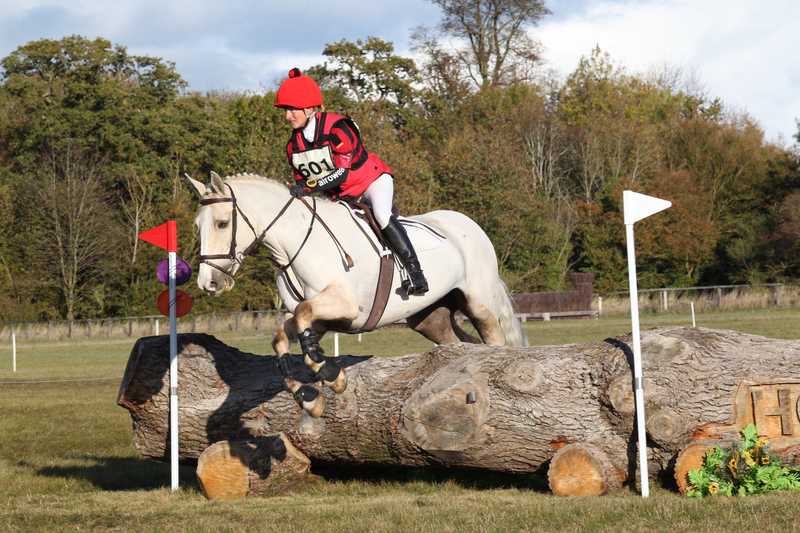 Horseheath Horse Trials once again awarded rosettes for the highest place first-timer in each class. Godolphin Lifetime Care provided beautiful silver photo frames as prizes for the highest placed ROR registered thoroughbred. 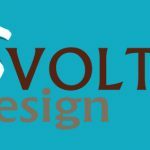 The October 2018 course was designed by Tina Ure and built by David Carpenter. 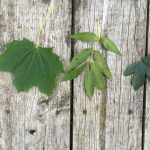 As with April’s event there was a good focus on natural fences using wood sourced from the Thurlow estate. The Horseheath carved tree jump was particularly admired. Not content to win the PwC BE100 Section A riding Indigo Blue II (No 9) finishing on her dressage score of 31.3, Alex Postolowsky also won PwC BE100 Section C (No 128) with 22.8 dressage and one pole SJ to finish on 26.8 on Freddie VIII, travelling from Market Rasen in Lincolnshire to do so. Section B PwC BE100 winner was Jo Watts (No 72) from Great Yarmouth with her horse Dark Legend finishing on a score of 27.5. 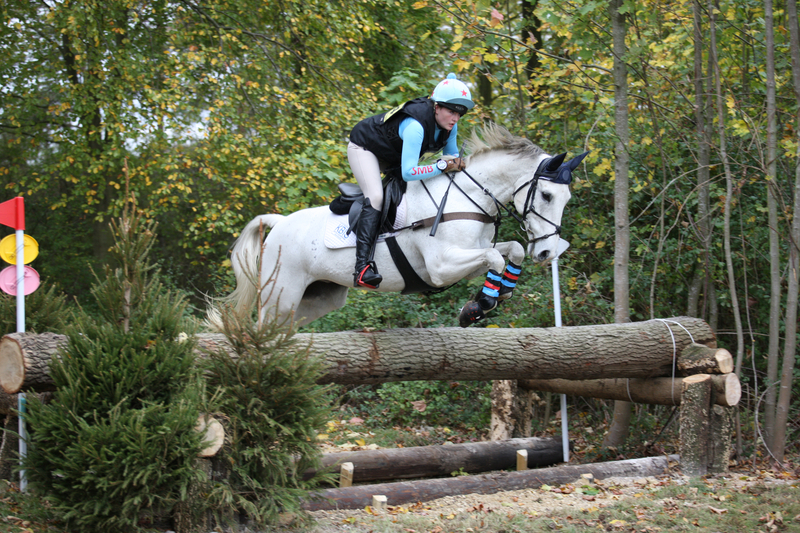 Jo loved being able to take advantage of the late October scheduling of the event and found the ground going good. She was particularly delighted to clear the trakhener. Binder sponsored Section D BE100 was won by Kate Hale (No 169) from Reigate in Surrey and her horse Killacoran Blue. Kate was delighted to jump a double clear finishing on a score of 31.5. The PwC Section E BE105 was won by Stella Burbidge (No 224) and Jenga (DJingo S) from Norfolk who finished on a score of 38.2 and was thrilled to win at her first BE105. Lily Beckley (No 282) won Section F PwC BE105 finishing on her dressage score of 29.3 with her 14.2hh pony Ballyknock Boy. 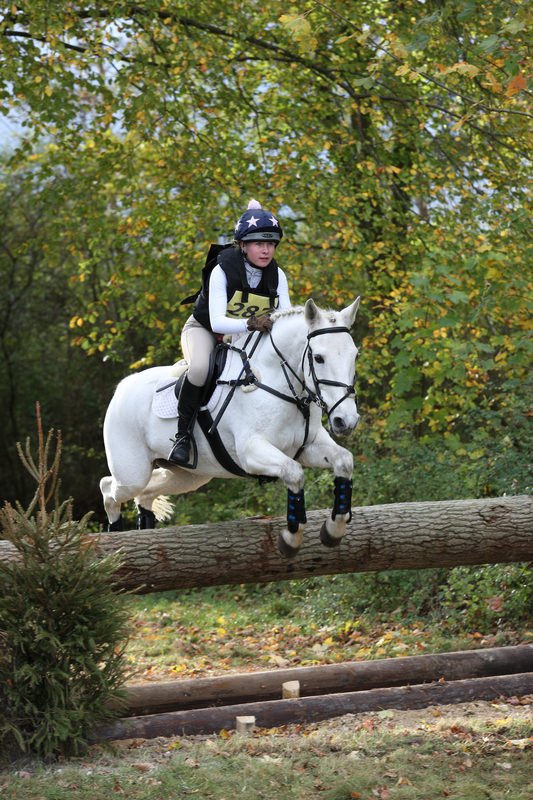 They thought the XC course was the toughest they have competed to date and was particularly pleased to get over the skinny brushes in the combinations which she felt were the hardest questions on the course. The triple in the showjumping was also a accomplishment on her pony trying to cover the ground of a horse stride. 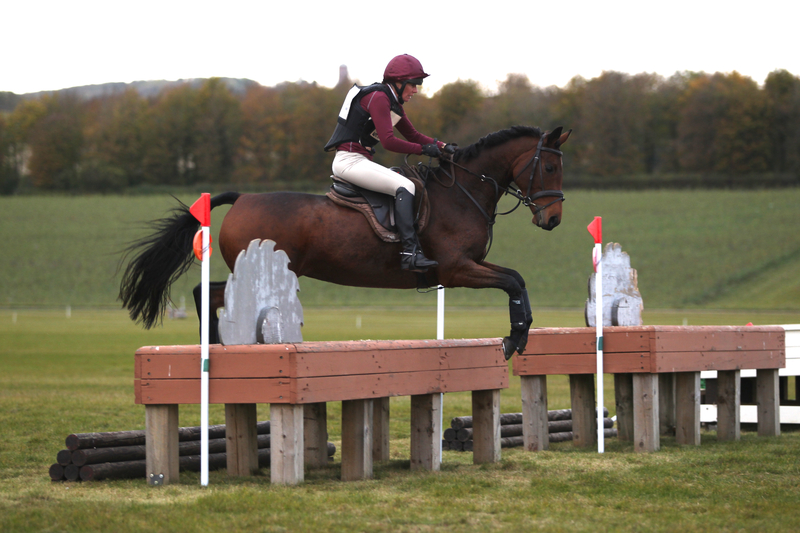 NFU Section G BE90 was won by Kent based rider Ellie Crosbie (No 312) and her horse Bellabrix III winning on a personal best dressage score of 20.3. Bella is Ellie’s last homebred, her previous two homebreds finished their last seasons with wins, so this felt particularly special. 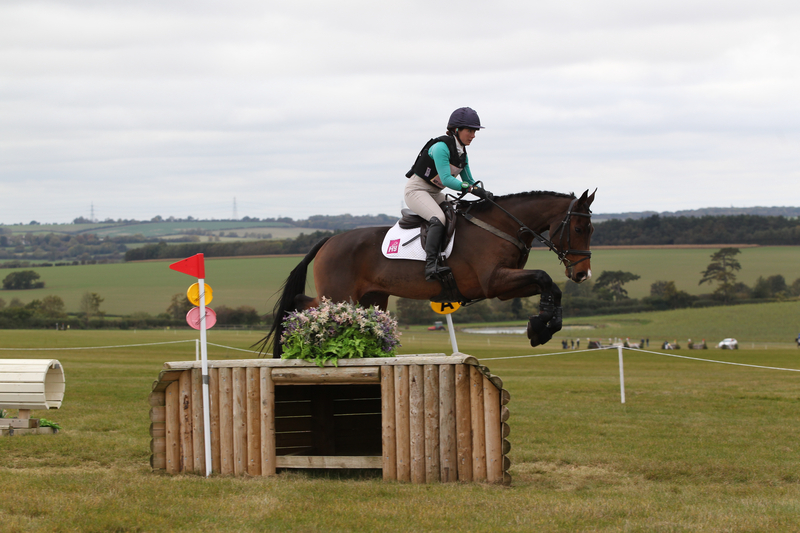 Ellie likened the course to a mini Barbury and promised to come back. 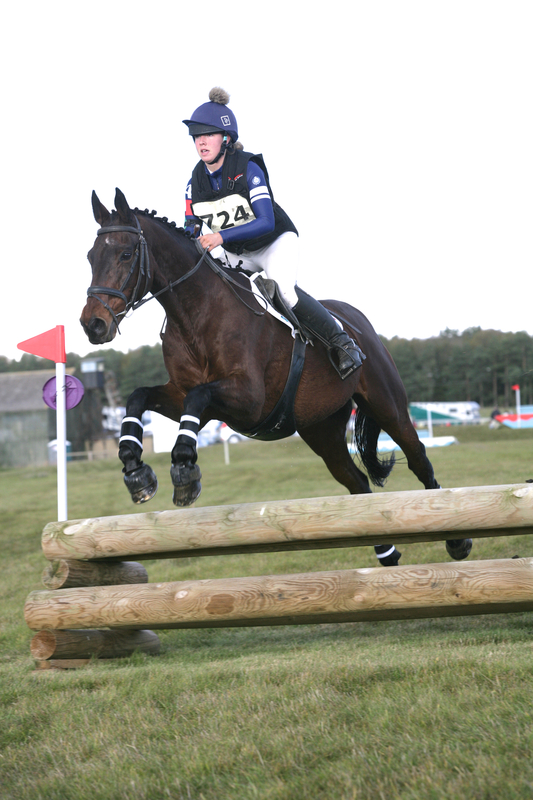 Mollie Harris (No 365) won the NFU Section H BE90 with Winterdown Shutterfly finishing on her dressage score 30.5. 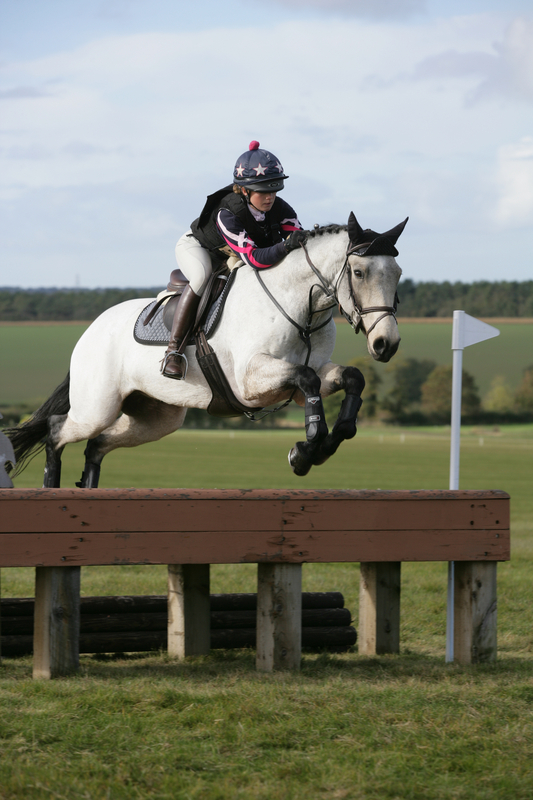 Mollie, from Great Yarmouth, Norfolk, has only had her new horse for a short time and this was only her second event so she was very pleased to win. Julie Horton (No 436) from Roxwell in Essex won the NFU BE90 Section I with Topwood Merlin finishing on a score of 27.3. She thought it was a fantastic event with brilliant going for this late in the season. She was particularly nervous as two years ago at an unaffiliated event at Horseheath she broke her arm so felt that the win has changed her luck here. The NFU Section J BE90 was won by Charlotte Gramphorn (No 464) with Fifty Shades of Blue finishing with a score of 31. 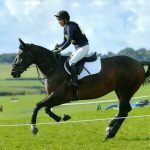 Charlotte from Oakham in Rutland thought her horse loved the going and felt fantastic in all three phases with her best dressage score to date. She is excited for next season. Section K NFU BE90 was won by Summer Nicholls (No 516) with a score of 26.5 and her horse Turfhurst Purplerain (Roo), Summer from Leigh-on-Sea is no stranger to dressage as she and Roo regularly compete with BYRDS. The Taylor Vintners BE90 Open Section L was won by Melissa Joannides (No 560) and her horse I Dunno from West Sussex finishing on her dressage score of 29.3. Finishing the season on a win after starting her season with a win was a highlight. This is the third win in a row for I Dunno with 3 out of 3 wins. 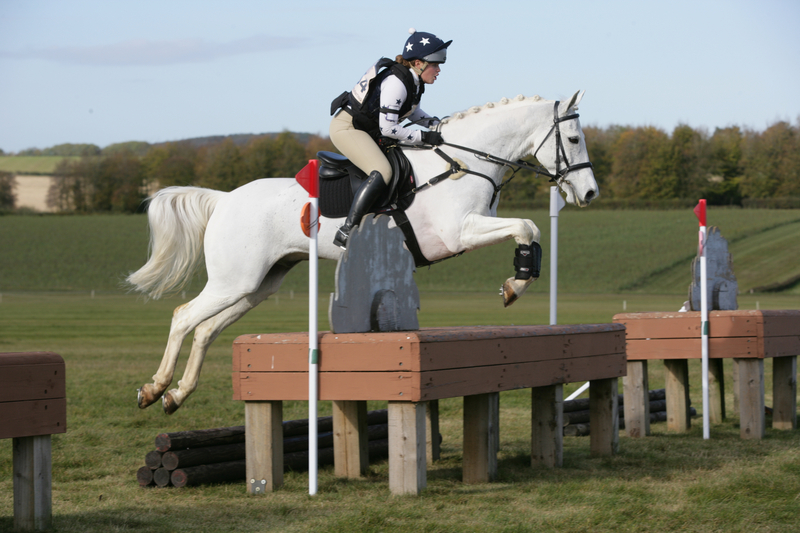 She finishes the season as the leading rider in the British Eventing Foundation league. 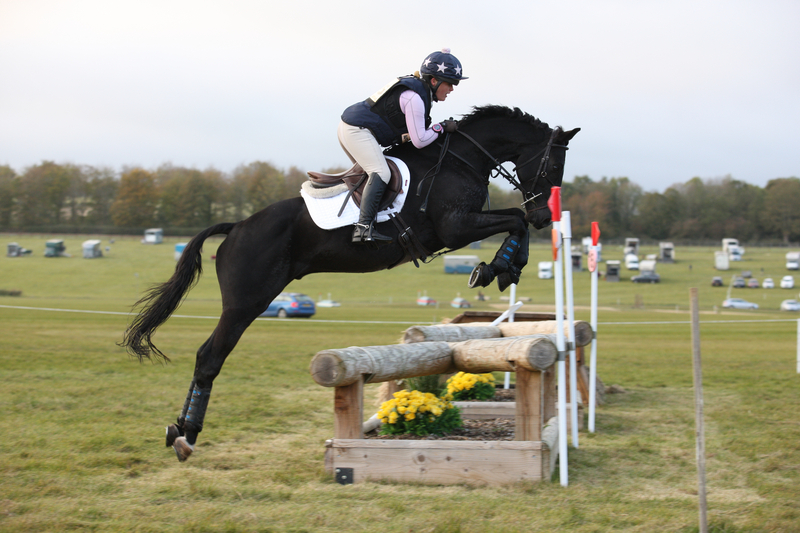 The Saffrey Champness Section M and Section N BE80s were both won by Caroline Day from Bury St Edmunds with two double clears. Section M (No 601) with her horse Charlies Girl who was back after an injury finishing on 32.8 and Section N (No 662) with her baby horse 4 year old Bellagio 99 finishing on 30. “It has been lovely seeing him develop this season and grow in confidence – he’s a very exciting prospect for the future”. 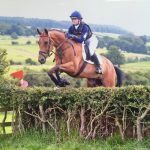 Scarlett Lloyd (No 724) won the Saffrey Champness BE80 Section O with her 18 year old horse Tender VE, this was only his second BE in 11 years so she was thrilled to get to the end of the XC course with a double clear, finishing on her dressage score of 30.8. Competitor feedback following the event was overwhelmingly supportive with many comments congratulating the team on the friendliness of the event, the great organisation, an exciting XC course and perfect ground. Horseheath Horse Trials, situated on the Thurlow Estate, just four miles west of Haverhill, off the A1307, take place over two days and attract over 500 competitors, from across the region and beyond, who come to compete in classes from BE80 (T) to BE100 in all three disciplines including Dressage, Show Jumping and Cross Country. Horseheath Horse Trials is unique in offering spectators excellent views across the whole XC course from a single vantage point. Spectators were welcome, as were dogs on leads, over the two days with plenty of refreshments available from Jacks Snacks, Caffee Mobile, Evies Kitchen and Mel’s Magical Crepes. The entry fee of £5 per car is being donated and split between the Air Ambulance Service and Maggie’s Centre Cambridge. 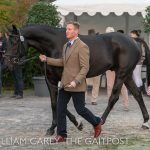 There were plenty of trade stands to peruse including Nags Essentials, Barnbrook Infinity Bands, Rhubarb & Co, Equine Nutrition, English Spirit and Binder. In addition to principle sponsor PwC, additional sponsors include Carter Jonas, NFU, Duck Plumbing & Heating, Saffrey Champness, Top Spec, Newmarket Equine Hospital, Taylor Vinters, Roythornes Solicitors, Barnadiston Prep School, Rossdales, Lockhart Garratt, Andrew Hodge, Ernest Doe, Teversham Motors, Top Spec, Crows Hall and Simple Systems. Binder sponsored the Posh Loos – which were a big hit and much admired in the past.